How do I generate Creative Commons license information? Does anyone know of a package that makes such licensing notices easier? For typesetting the Creative Commons licence logos you could use the cclicenses package. I don't think there is a package that defines macros for inserting CC license text into TeX documents, but it would be easy enough to make one. See also this post on the creative commons website. I wrote a package for this :) See also Creative Commons Licence on SX. Personally I thought that looked pretty bad. I solved it by downloading the relevant button from http://creativecommons.org/about/downloads as svg, converting it to pdf with Inkscape and including it as an image. I did have to rename it, it seems that the two dots in the file name, by-nc-sa.eu.pdf confuses something, so you get an error, but by renaming it to by-nc-sa.pdf it worked fine. Importing the eps file also worked, except that I got cutmarks around the button! Not the answer you're looking for? Browse other questions tagged packages licensing or ask your own question. How to cite a license in BibTeX? 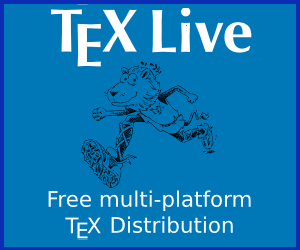 How can I license my .tex files for open source? Should the minionpro package be on CTAN given Adobe's license agreement?